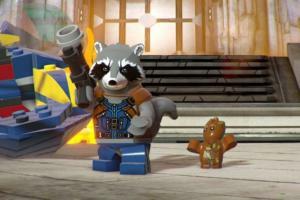 The Week in iOS Apps: You've got the look! This week's roundup of new and updated iOS apps includes new ways to make images look great; including both still photos and videos. Now, everything you produce will have a professional sheen. This week's roundup of new and updated iOS apps includes new ways to make images—both still and video—look great. Now, everything you produce will have a professional sheen. 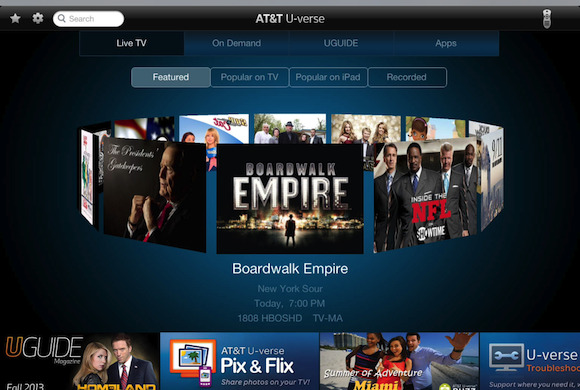 Good news for subscribers to AT&T U-verse: Live TV is now available through the company’s iOS apps. 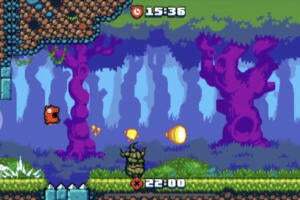 This week’s update to the app—which already featured video-on-demand options—also features a number of bug fixes and a small update to the user interface. But it’s the ability to watch your favorite shows in real time on your iPad or iPhone that should geneate the most joy among the app’s users. 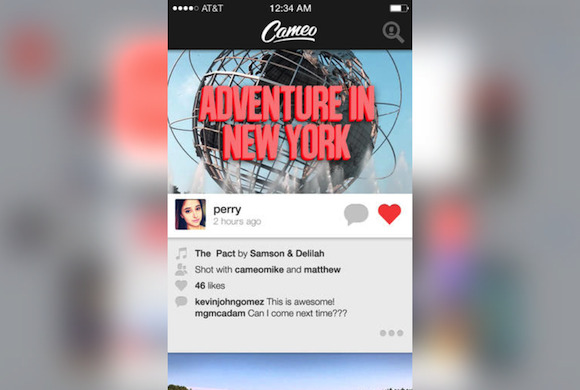 Cameo for iPhone is kind of a cross between Vine and other, more extensive video-editing apps: You can only shoot six seconds of video at a time, but you can edit those clips, stitch them into a movie as long as two minutes, pick a soundtrack, and add Instagram-style filters to give the whole thing a coherent look. 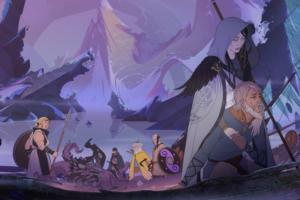 When you’re done, just share on Facebook, Tumblr, and Twitter. Word up. If, on the other hand, you’d like to create some cool-looking still photos, the $2 Fotor HDR app for iPhone is pretty nifty: For one photo, it takes two pics—one overexposed, one underexposed—then combines the two into a single image to create eye-popping “high dynamic range” photos. 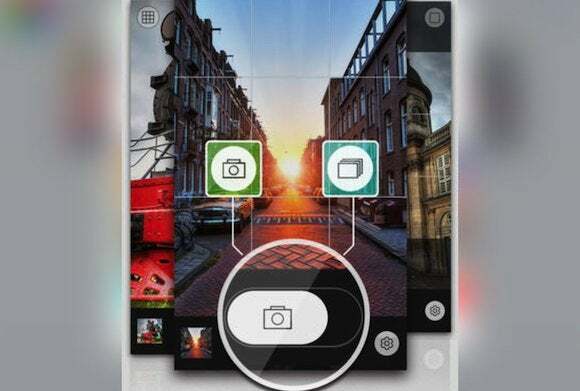 The app includes presets and filters that allow users to create their favorite image, and to share photos easily on social media. It’s been a couple of years now since our Twitter feeds were filled with Foursquare updates of friends announcing they were the “mayor” of a local bar, but Foursquare is still around and evolving. 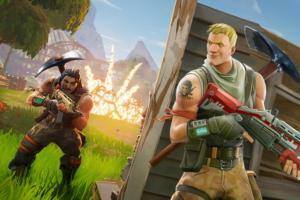 The latest update? Real-time recommendations—check-in at a new place, and the app can tell you what the best-loved drinks and appetizers are at that location. 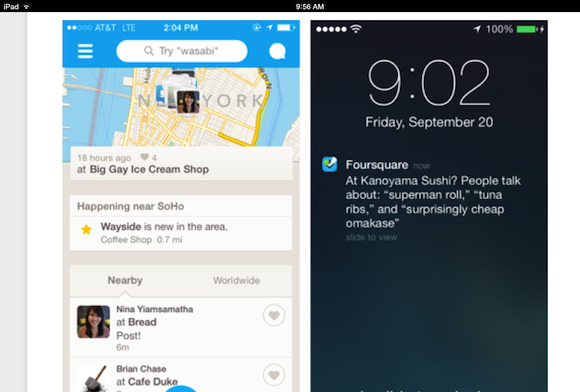 Other updates show you the coolest places near your location, and your friends’ most recent check-ins. 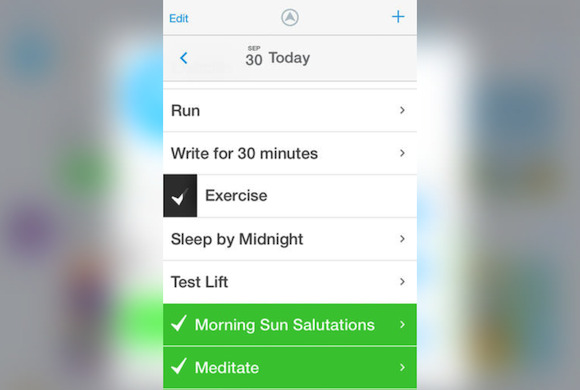 Lift is a “life coach” for your iPhone, one that helps you set goals and guides you to them. This week’s update includes the addition of ten different coaching plans, which can be reached from the app’s “add habits” menu. Users can also create their own coaching plans to share with each other. 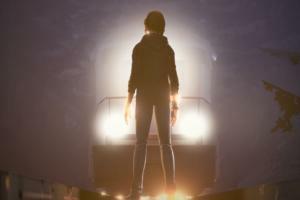 After a long, hard day at the office, why not settle in with a game set entirely in a stressful work environment? 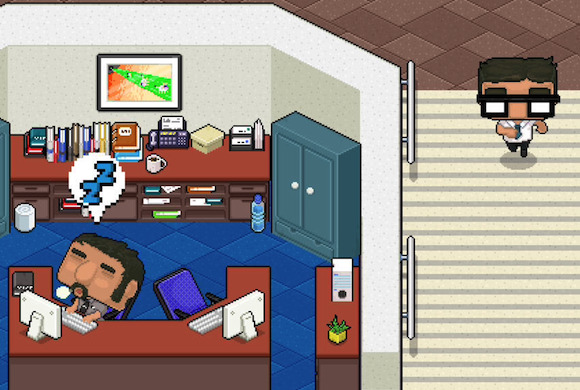 In Level 22, a $4 game for iPhone and iPad, you play “Gary,” a worker late to the office after an evening carousing on the town. Your mission is to get to your desk on the 22nd floor without being caught by the boss. Just the way to unwind, right? 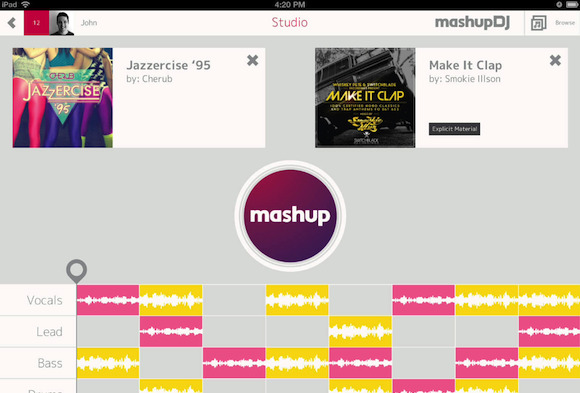 The free MashupDJ app for iPad takes an old concept—mash two songs into something new—and makes it easy: Just choose from the app’s catalogue of songs, then press a button to mix two of them together. Users can “remash” any song they like using drag-and-drop editing tools, and share the results for friends and family to enjoy. 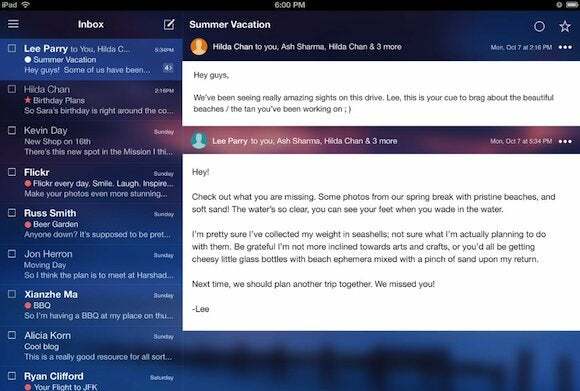 Yes, Yahoo Mail still exists, and its iOS app was relaunched this week as version 2.0. Among the improvements: Conversations are now threaded, you can personalize the app with custom themes, and 1TB of storage lets you save every message you ever have or ever will receive. 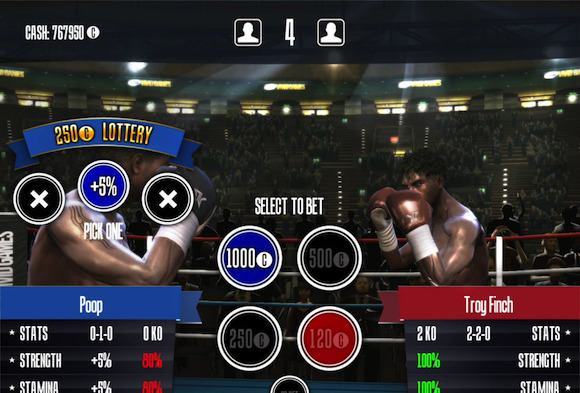 Calendars 5 now makes it easier to add new tasks … Sunrise Calendar has been redesigned for iOS 7 … and Real Boxing has been updated with enhanced multiplayer options. Check out last week's edition, Cat on a hot tin app.